It was meant as a sort of punishment when the board of trustees at an Illinois community college voted to get rid of the institution’s president after word began to get out about extravagant spending and secret insider contracts — then quietly gave him three-quarters of a million dollars’ worth of severance pay. 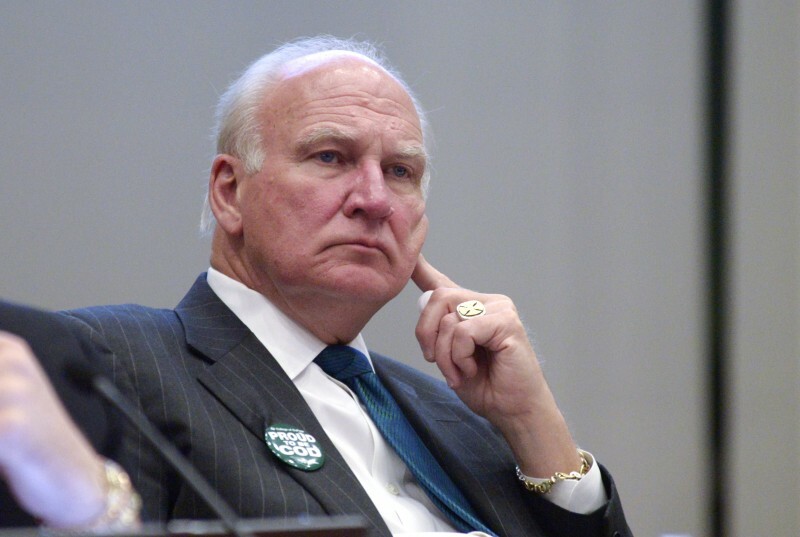 The deal may have softened the blow for outgoing President Robert Breuder of the scandal-ridden College of DuPage, which is now also under federal and state investigation for allegedly falsifying enrollment figures, among other misdeeds. But what an Illinois Democratic Caucus report would later call Breuder’s unseemly “golden parachute” has also focused angry and unwanted attention on the perks given to university and college administrators in that state, where the full Senate voted to put a cap on such buyouts, though the measure was defeated in the House after lobbying by the Illinois Council of Community College Presidents. “Many of these agreements are done in secret, denying the public the right to weigh in on the appropriateness of such generous packages, while students suffocate under non-dischargeable debt,” the report said. Breuder, who had been earning nearly half a million dollars a year before he went on medical leave in April, didn’t get just a massive buyout. His benefits included a $21,000-a-year housing allowance and a $10,000-a-year car allowance, among other things, the legislative report says. The Chicago Tribune also disclosed that Breuder and other college administrators spent more than $190,000 on food, Champagne, wine, and expensive vodka in the three years before he abruptly went on medical leave to avoid plans to suspend him ─ and to continue to collect his severance package. Other Illinois university and college presidents, the Senate report noted, also enjoy housing allowances, cars, drivers, and paid-for dues at country clubs. “At the same time tuition and student debt are rising at a breakneck pace, the administrative systems of public institutions have expanded into sprawling behemoths, with some of those at the very top enjoying lavish perks, including expense accounts, club memberships, vehicles, and golden parachute severance payments,” the report said. More than 60 percent of university and college presidents get all or part of their housing provided, more than 70 percent get a car or a car allowance, and more than a third get free club memberships. It’s not just Illinois where this is happening. While their high salaries are given much scrutiny — presidents at research universities make an average of $450,000 a year, according to the College and University Professional Association for Human Resources, or CUPA-HR—more than 60 percent of university and college presidents nationwide, at both private and public universities, also get all or part of their housing provided, CUPA-HR says. More than 70 percent get a car or a car allowance, and more than a third get free club memberships. More than half of presidents have provisions in their contracts requiring that they get severance pay, the consulting firm Yaffe & Company reports. It says 12 percent of the spouses of university and college presidents also are paid for the roles they assume at social events and for other duties. Other top administrators get perks like these, too, CUPA-HR says. Six percent of provosts, 4 percent of chief development officers, and 3 percent of executive vice presidents and chief business officers have houses provided or receive housing allowances. More than a quarter of chief development officers, 13 percent of chief business officers, 12 percent of provosts and executive vice presidents, and 17 percent of athletic directors get cars. And 16 percent of development officers, 7 percent of executive vice presidents and provosts, 6 percent of chief business officers, and 11 percent of athletic directors have club dues paid for. 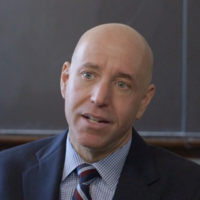 Universities and colleges have little choice but to compete on such measures, said Raymond Cotton, a partner at the law firm Mintz Levin in Boston, who represents higher-education executives and boards of trustees and often negotiates contracts. “They’re all responsive to supply and demand in the marketplace,” Cotton said. Saranna Thornton, an economics and business professor at Hampden-Sydney College and chair of American Association of University Professors’ Committee on the Economic Status of the Profession, said there isn’t evidence that universities need to shower prospects with such benefits to attract them. Even if they did, she said, universities and colleges are nonprofit institutions with high-minded missions. Many university and college administrators are also eligible for free tuition for their children and domestic partners at their own and more than 630 other campuses, a benefit that’s often also available to other higher-education employees — particularly contentious to parents and students when they hear about it. “They say, ‘Well, my kid doesn’t get free tuition, so why does yours?’” said Cotton. Such growing criticism is among the reasons experts said the growth of benefits for top administrators has flattened out since the economic downturn. “Ever since the great recession, there’s been very little change with benefits and other compensation,” said Matt Hamill, senior vice president at the National Association of College and University Business Officers. That’s because “There are appearance issues,” with such benefits as pay for presidential spouses, Cotton said. There are also conflicting rules about whether university executives can be taxed on these perks. Bonuses and severance pay are taxed as income, but some deferred compensation, free tuition and business use of a provided car are not. Federal tax law does not consider free housing to be income, as long as it’s a condition of employment and on the business premises. Most universities interpret this to mean that housing provided to executives on their campuses is exempt from being taxed. But in at least one case, the IRS has disagreed. It said the president of Ohio University did have to pay taxes on the 7,000-square-foot home the university provides for him for free. So the board of trustees agreed to pay the $19,000-a-year cost of federal, state, and local taxes for him, plus another $11,000 in taxes the IRS said he owed on the term life insurance that’s taken out on his behalf. Belonging to a country club can pay off by helping presidents and development officers bond with potential contributors, said Rich Ekman, president of Council of Independent Colleges. But, “For some people, those are outrageous benefits,” he said. Yet few of the perks have so far gone away, Vedder pointed out. In fact, there’s a new one: financial bonuses for top executives, meant to encourage them to improve such things as graduation rates. Nearly four in 10 presidents now are eligible for bonuses, Yaffe & Company says, and 66 percent received them in 2013-2014, the last year for which the figure is available, with an average payout of $30,400. So did three-quarters of provosts and 68 percent of chief financial officers.